Jussie Smollett's elaborate scheme has proven a costly mistake. Facing sixteen charges of disorderly conduct, Empire actor Jussie Smollett is likely wondering if everything was worth it. When news first broke of a "hate crime," which left Smollett battered, bruised, and shaken, many were initially sympathetic to his cause. Throw in a few MAGA hat sporting goons, and the villains were set. Yet police soon began spotting a few plotholes in the actor's story, prompting a full-blown unraveling. One pair of Nigerian brothers later, and the truth appeared to have come out. Now, the fate of Empire hangs in the balance, and Jussie is set to return to court for his arraignment later today. Apparently, Smollett has welcomed the presence of cameras in the courtroom, as to prevent the spread of misinformation. 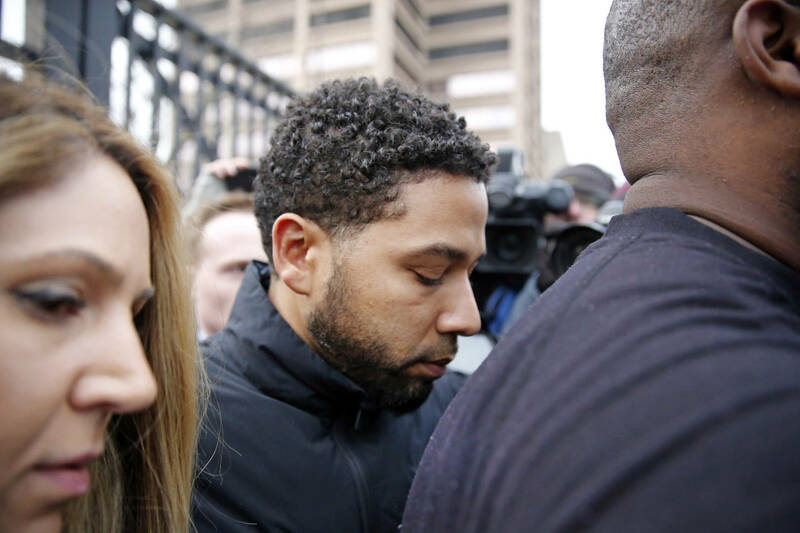 "We welcome cameras in the courtroom so the public and the media can see the actual evidence, and what we believe is actually going to be the lack of evidence against Mr. Smollett," says his attorney Tina Glandian. The actor is expected to enter a plea to his disorderly conduct charges, which include falsifying a police report, as well as lying to police officers. Expect footage from the arraignment to arrive later today. Where do you stand on this wild fiasco?